For over an hour I have been sitting at my laptop, reviewing recently processed images that I was able to capture during a leisurely walk around Dumfries on what was a beautifully sunny day, under the clearest, bluest sky. As my tummy rumbles, my choices become even more difficult as I now find myself distracted by the whiff of lunch emanating from the kitchen. But it can wait – I’ve decided, but it hasn’t been an easy choice. You see, I’ve lived here for almost twenty years now and, almost all of my photo-excursions (the landscapes, anyway) have had me concentrate heavily on rural scenes and views, making the most from infrared light wherever possible and insosaying, I have never, ever – in all of my time here, wandered through or around the town with my cameras. Though I had them with me, my only wish for such a beautiful day was that I might snag a few IR frames along the River Nith, after which, on approaching the town in search of at least one cafe with an ‘Open’ sign (which was more difficult than I thought it would be), I wasn’t thinking about making any more images at all, just… hot chocolate. 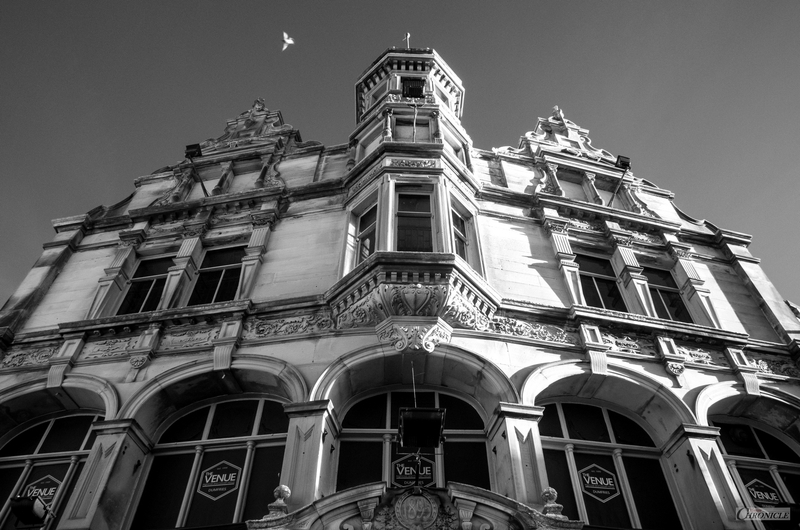 I | The Venue Nightclub Building | 720nm IR | 24mm | 1/125th | f8 | ISO: 835. Nevertheless, leaving the riverside and heading into town, my ever scanning eye became increasingly keen as my recent fascination and enjoyment of strong structures again came to the fore and against such a deep blue backdrop, it was impossible to ignore these few frames-to-be. For colour enthusiasts I make no apology; I am delighted to share these captures of a place I know so well and yet, until now, have never seen quite like this. I take this as stark reminder to keep my eyes and, my mind open – especially to all that is right in front of me; that which I see almost every day – and don’t even notice. Of course, this applies to life just as it does to photography. A new resolution, perhaps? To all of you who read, follow, click or comment – I thank you and, wish you a very happy and prosperous 2019. I hope you’ll enjoy these few frames. 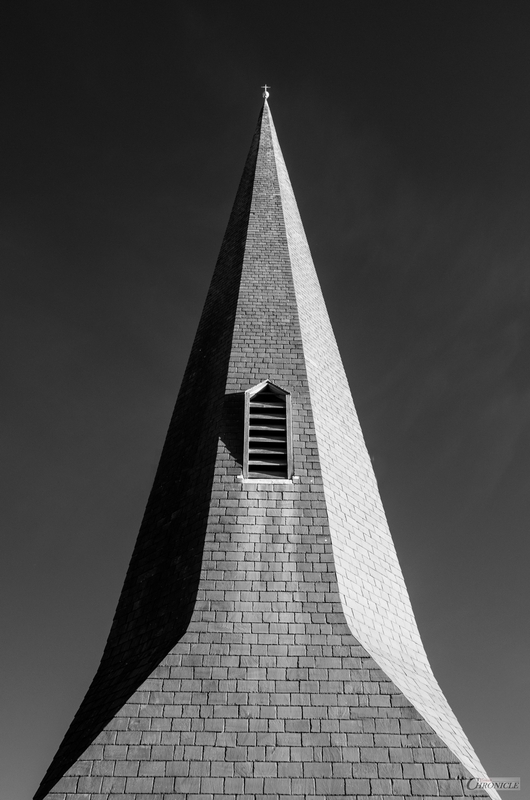 II | Spire of St. Theresa’s | 720nm IR | 35mm | 125th | f6.7 | ISO: 308. 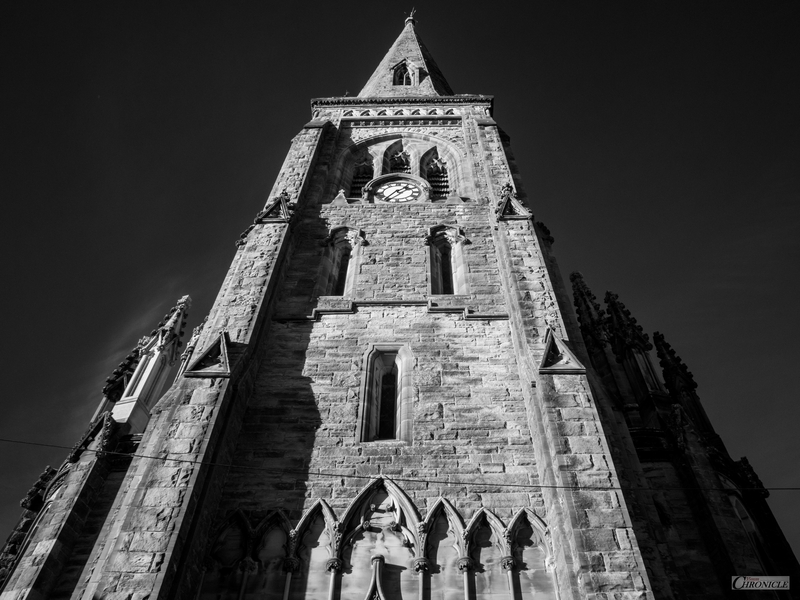 III | Greyfriars | 720nm IR | 24mm | 1/125th | f8 | ISO: 283. The best thing of hot drinks is that they are hot! In winter it’s the only thing that matters! Quy, thank you my friend! Someone else built ’em. I only shoot’ em! 🙏 If only I could take credit. I am very pleased how they turned out though. A productive day! Thank you, Quy. 🙏 Have a great weekend!